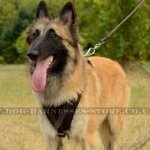 The principle of accustoming the dog to a collar or a harness or a muzzle is the same. We will describe you the general process. 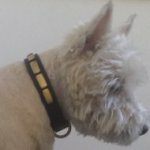 Initially, the dog is trained to a collar. The trainer comes to dog, calls its nickname, strokes, shows the collar and gives it the dog to sniff. Stroking a dog, he quietly put on it the collar and diverts its attention to the game, gives a delicacy. After 3-5 minutes the collar is removed and the dog is encouraged by a dainty and stroking. 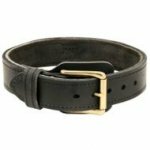 One does it several times, gradually increasing the time spent in a dog collar. 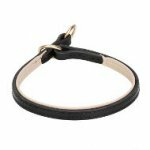 During this watch carefully that the collar is not tightened or be too much free (under the right collar worn by an adult dog one should be able to pass two fingers). Then one teaches the dog to free movements on a leash. 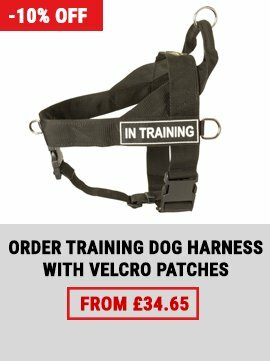 In order to do this, the trainer, wearing a dog collar and stroking it, quietly fastens the short leash to the collar and goes out together with it for a walk. 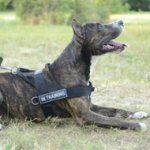 Usually, walking and playing bring such a stimulant effect on the dog that it reacts weakly or does not respond to the collar attached leash. It is only necessary not to do jerking the leash and not to limit drastically the mobility of the dog. If the dog will show signs of fear towards the collar or the leash, it is necessary to divert its attention. 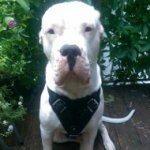 Pretty soon, putting a collar and leash will stop your dog’s worrying, because it becomes a signal for the upcoming walk. 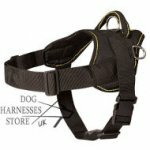 Gradually the trainer restricts freedom of movement, the dog, gradually shortening the leash. Then one trains a dog to extra-long leash. Trainer goes further away from it, being careful that any object can cling to the lead or cause jerks. 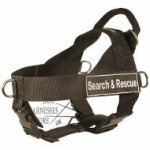 Teaching to a dog harness is the same as to the collar. But to the muzzle - in the following way. 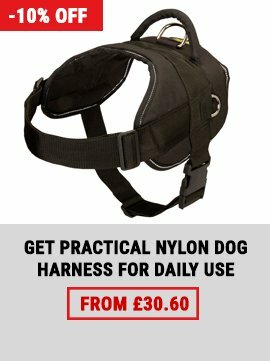 Trainer, keeping a dog on a short leash, with his right hand holding the muzzle (loopy is better firstly), giving it a sniff, and with the left hand quickly approaching it to the snout of the dog and strengthens the straps. 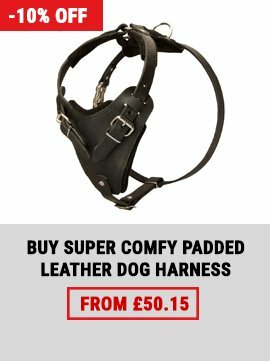 This should be done as quickly as possible and painless for the dog. 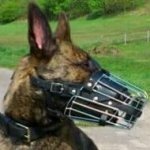 Once the muzzle is put on one distracts attention from his dog with active play, run, petting, etc. Once the dog is calm, one encourages it with exclamation "Good! ", stroking and when the muzzle will be removed, with a delicacy. For timid dogs at first it is sometimes helpful to put a treat inside the muzzle (blind muzzle, basket), so that the dog got it out and ate him out of there. The muzzled time of the dog at first is limited to 2-3 minutes, and then gradually increases until needed. 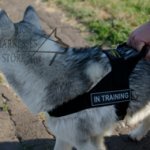 A dog is considered to be trained to the collar, leash, harness and muzzle when it treats to them calmly putting on, not trying to get rid of them, moving quietly on a leash near the left leg of the trainer. 5. Permission to a dog to play with a leash, muzzle or harness.